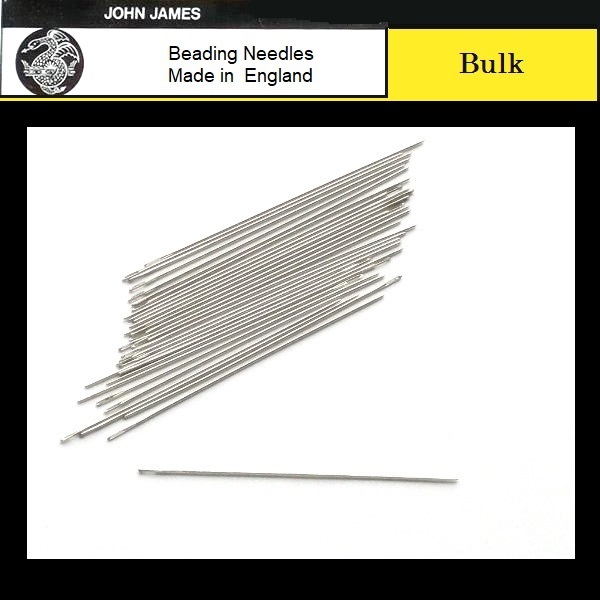 These are first quality JOHN JAMES #10 SHORT TAPESTRY BEADING NEEDLES, just without the wrapper. Buy in bulk and save on one of the more popular sizes. The short beading needles are part of the specialized beading needle family. The needles have a small eye and a tapestry blunt point. However, they are shorter in length measuring 1-1/4″, allowing for quicker stitching, nimbleness and accurate finishing. Their blunt tip allows them to pass through loosely-woven fabric such as embroidery canvas or even weave material without catching or tearing. Choose in quantities of 25, 50, or 100 from the drop-down menu. You will save on the shipping also. Any quantity of the same size ships for the same amount. 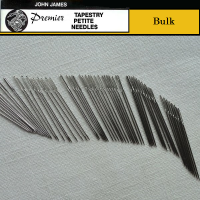 These needles are the “premier line” of John James and manufactured in England by skilled craftsmen. 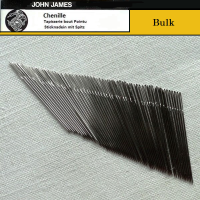 John James needles are known worldwide for exceptionally smooth stitching.